Ulysses Bookstore: Food shows - Which one to watch? I've been reading the newspaper while having a cup of coffee this afternoon (my day off) and have come to the TV guide section. 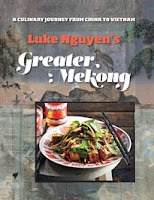 On Thursday nights, SBS usually has some great cooking/travel shows to watch and this week is not exception with My Sri Lanka with Peter Kuruvita and one of my favourites, Luke Nguyen's show Greater Mekong. 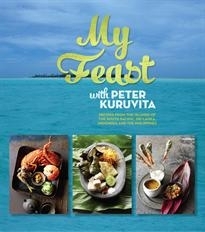 Then my glance moves across the page, and there on channel 10 is the new Jamie Oliver show Fifteen Minute Meals. 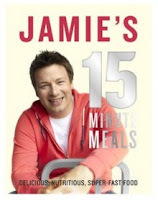 I have to admit to being a Jamie fan, and his cookbook Jamie's 30 Minute Meals gets a regular workout (this week was the piri piri chicken - yum). Oh, dilemma. What to watch? Maybe I should watch Jamie's show and just take the cookbooks home for the other two as both should be being unpacked at the store now. Here's a video featuring the people who are working behind the scenes on Jamie's new show. I think he has a little bit of help to reach that 15 minute target. What do you think?